A beautiful view from Dùn Bhorariac in April 2014. Below us the Sound of Islay with Feolin Ferry on the left. 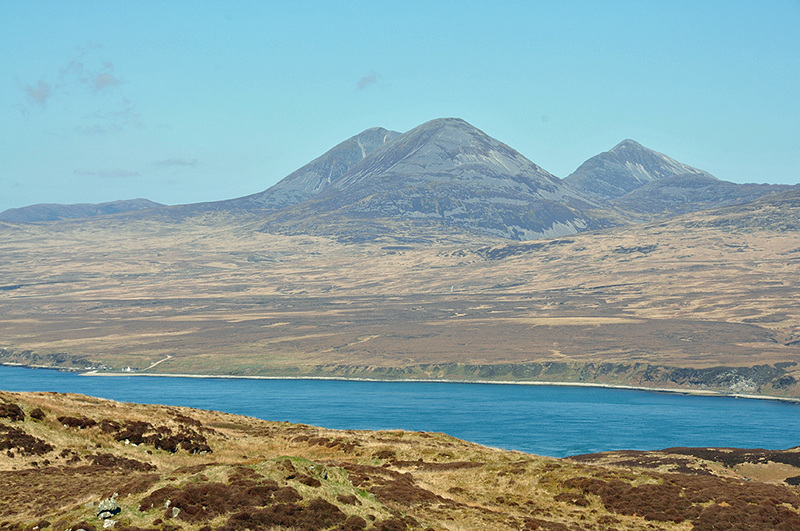 On Jura the skyline is dominated by the Paps of Jura, from left to right Beinn an Oir (785m), Beinn a’Chaolais (733m) and Beinn Shiantaidh (757m). This entry was posted in Landscape, New Post, Sunny Weather and tagged Beinn a'Chaolais, Beinn an Oir, Beinn Shiantaidh, Dun Bhorariac, Feolin, Islay, Paps of Jura, Sound of Islay by Armin Grewe. Bookmark the permalink.